This beautiful chiffon print fabric from John Kaldor is the most beautiful quality, as you would expect from a John Kaldor fabric. 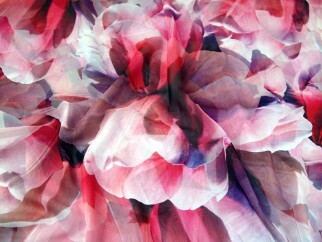 Chiffon is a light and delicate fabric with transparent qualities. It would be ideal for making tops, blouses and scarves. Even skirts and dresses if you chose to line it.